Final Program can be viewed or downloaded in PDF format. List of Registrants is available. Travel information and maps that may be useful in making your travel arrangements. We would like to draw your attention to this upcoming multidisciplinary workshop that will be held at the University of California, Santa Cruz, October 3-6, 2002. The workshop will have two primary objectives: (1) to provide an integrative forum for representatives of different scientific disciplines who are interested in a fast and mobile ice-sheet drilling system in order to address scientific problems, and (2) to identify relevant technological needs specific to each of the represented disciplines. 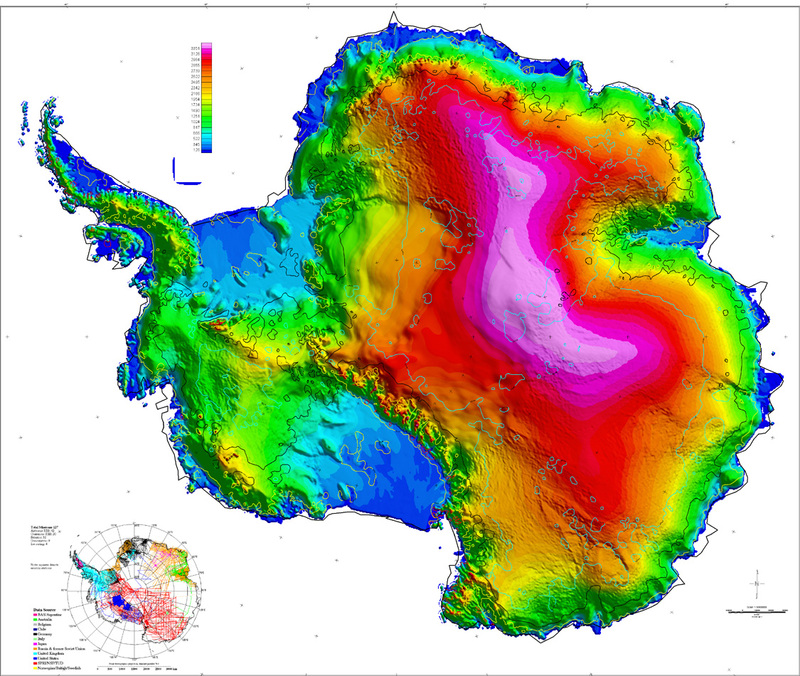 Participation of scientists and engineers interested in polar biology, geology, geophysics, glaciology, paleoclimatology, ice-drilling technology, and other related disciplines is encouraged. The final workshop report will include presentation abstracts as well as a summary of workshop discussions and recommendations. This report will be submitted to the NSF Office of Polar Programs and distributed to participants and other interested individuals. Limited funds are available to support workshop attendance. 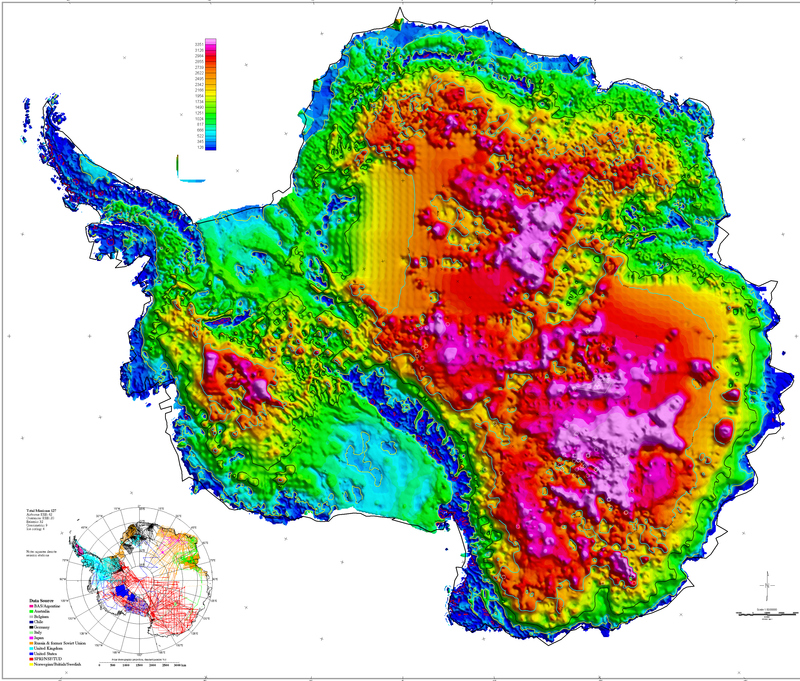 The scientific community interested in sampling polar ice sheets and their substrata has been growing recently and now incorporates biologists, geologists, and glaciologists. This multidisciplinary interest is opening new research frontiers. 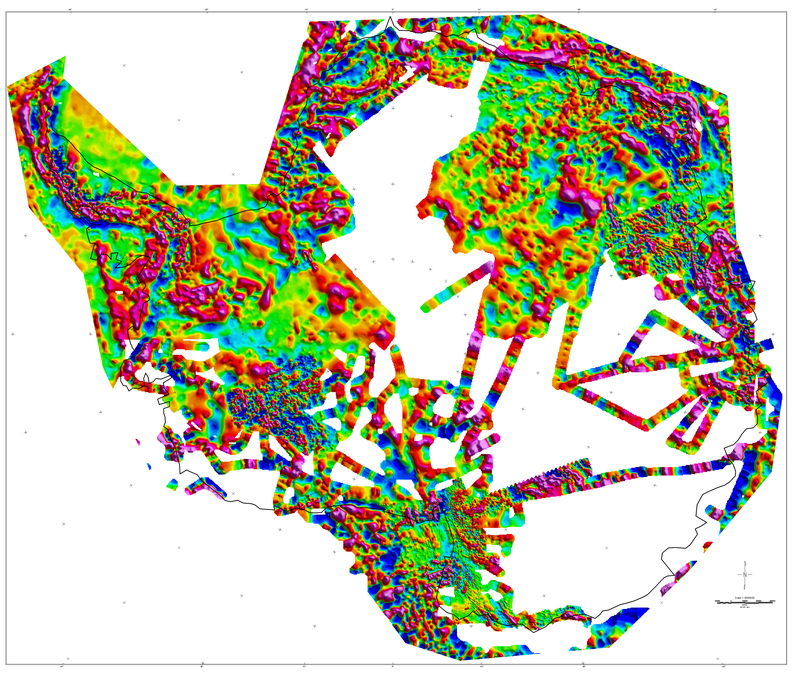 Significantly advancing our scientific understanding along many of these frontiers will require targeted sampling strategies and the acquisition of data from arrays of deep access holes on multiple spatial scales ranging from local to continent-wide. Recent advances in drilling technology may allow the development of a mobile drilling system capable of rapidly drilling arrays of boreholes through the 3-4 km thick polar ice sheets ( Clow and Koci, 2000 , A fast mechanical-access drill for polar glaciology, paleoclimatology, geology, tectonics, and biology: Mem. Natl. Inst. Polar Res., v. 56). 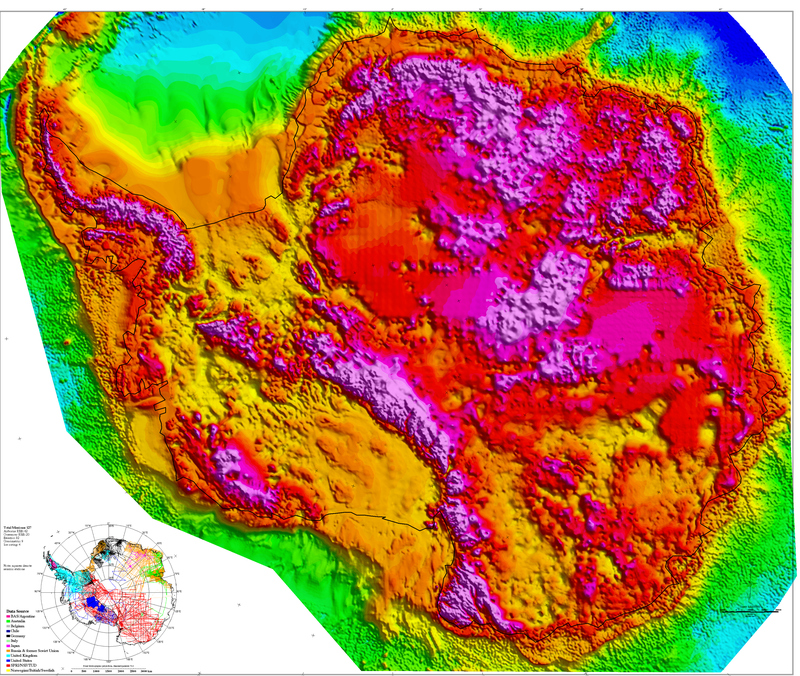 Scientific applications that would be possible with a fast-access drilling system include, but would not be restricted to: sampling of subglacial geology, both glacially-related strata and bedrock; investigation of basal conditions and their control on ice sliding; geothermal heat flow measurements; providing access to subglacial lakes; detection of life in deep ice through sampling and borehole logging; site selection for deep ice cores; logging climate proxies with geophysical instruments; borehole paleothermometry; and ice rheology studies. 1. Provide a forum for discussions between scientists representative of the four major disciplines interested in research requiring ice drilling capabilities (biology, geology, glaciology, paleoclimatology) and experts in ice drilling, conventional drilling technology, and downhole sampling systems. 2. 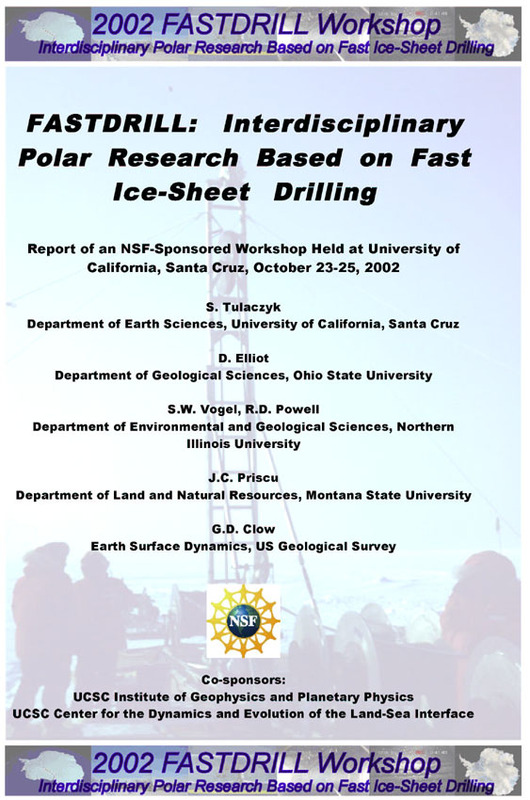 Formulate and present to NSF the participants' recommendations for future directions in polar research based on rapid access drilling capabilities. This will include future targets for drilling and sampling that would maximize the interdisciplinary scientific payoff. 3. Formulate and present to NSF the participants' recommendations regarding the near-future developments in drilling and sampling technology that are needed to meet the identified scientific goals. 4. Identify and put in place formal/informal mechanisms, which are needed to provide cross-disciplinary coordination and to promote interdisciplinary collaboration in drilling-based polar research (e.g., listservers, web pages, working groups, regular workshops, practical steps to be taken to submit an interdisciplinary proposal for a near-future drilling and coring project). (1) Send an email notification to the local organizer (Dr. S. Tulaczyk, tulaczyk@es.ucsc.edu ). (2) You will be included on an e-mail list through which later announcements and registration forms will be distributed (by early June 2002). (3) The final workshop report will be distributed to non-participants late in 2002.